Views over the beautiful port city of Tangier. Ferries operate daily between Tarifa and the buzzing port city of Tangier, making it a very comfortable and easy way to visit this beautiful city. There are also connections from Algeciras to Tangier MED. For more ferry information, click here. There is no shortage of hotels in Tangier, with everything from smaller, cheap hotels, to larger, luxury beach hotels which offer all inclusive holiday deals and packages. 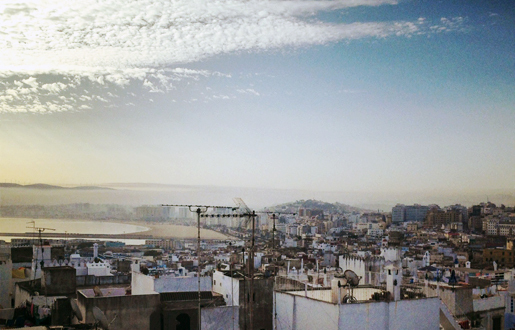 In town, Tangier also has a number of boutique hotels which often have rooftop terraces, as well as some local hostals. The old town (Kasbah) is particularly spectacular and offers tremendous beauty. There are a number of chic boutique hotels here, a very popular choice amongst tourists. Listed below are our personally-selected hotels in Tangier, Morocco. Enjoy. The 5-star El Minzah is situated in the heart of Tangier. It offers 2 swimming pools and panoramic views over the bay. The wellness centre includes a sauna, hot tub, hammam and massage treatments. Rooms are air-conditioned. A stunning hotel offering an exquisite outdoor pool, Grand Hotel Villa de France is located in Tangier and is a 5 min walk from a fitness centre, a spa and wellness centre and a tennis club. Other facilities include free WiFi and a tour desk. Movenpick Hotel & Casino Malabata Tanger features an outdoor pool, a garden and an annexe Casino. 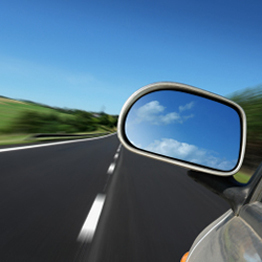 Each air-conditioned room offers a private bathroom, seating area and a balcony. All rooms overlook the sea. Breakfast is served at the Paradisier restaurant. Hotel Cesar & Spa is situated on the beach overlooking the sea. It boasts a hammam, sauna and heated indoor swimming pool. All rooms are air-conditioned and have private bathrooms equipped with amenities and a bath or shower. Free Wi-Fi is available throughout. Golden Tulip Farah Tanger is located a 5-minute drive from the Malabata beach. It features 2 outdoor swimming pools with sunbeds, fitness center, a spa with an indoor heated pool, and a shared lounge. Free Wi-Fi is available in all areas. Offering an outdoor pool, free WiFi and a spa with wellness centre, each room here will provide you with a TV, balcony and minibar. Featuring a shower, private bathroom also comes with a bath and a hairdryer. Extras include a seating area. This 4-star hotel, in the heart of Tangier, overlooks the Strait of Gibraltar and the Bay of Tangier. It features an outdoor pool, and offers air-conditioned guest rooms. The rooms and suites are decorated in a contemporary style and feature private bathrooms. Atlas Almohades Tanger overlooks the bay of Tangier and is opposite the beach. It is just 25 minutes drive from the airport. Rooms are fully equipped with modern comforts, as well as air conditioning and balcony. Free Wi-Fi is available in public areas. The Rif has an outdoor swimming pool, a health and beauty salon and a spa. Each of the guest rooms has a private bathroom, air-conditioning & satellite TV. The restaurant serves traditional Moroccan and international specialities. Overlooking the bay of Tangier, Hotel El Oumnia boasts an outdoor swimming pool. Free Wi-Fi is available in public areas. All rooms are air-conditioned and feature satellite TV and a private bathroom with bath. Breakfast is served every day in café Ibiza. This hotel is located in Tangier city centre, a 10-minute walk from the beach. It features an outdoor swimming pool in a tropical garden, and free Wi-Fi is provided. The rooms are air-conditioned and each has its own bathroom. On-site restaurant. Offering panoramic views of the bay, Hotel Continental is set in the heart of the Médina. This 19th-century building is classed as a National Heritage site and has Moroccan-style lounges with traditional mosaic tiles. All rooms have views of the sea or medina. Hotel Chellah is situated in the heart of Tangier yet only 700 metres from the city’s northern beaches. It offers air-conditioned rooms and a large outdoor swimming pool. The rooms at the Chellah hotel are decorated in a contemporary style with Morroccan motifs. Dar Sultan is in the historic quarter of the Kasbah. Set within a 300-year old Moroccan house & just a short walk from the beach, each of the rooms is uniquely decorated and equipped with a private bathroom. They open out onto the terrace or interior courtyard.